First on MNP: Just days after Claire Celdran made her exit from CNN Philippines, we have learned that the network has finally found her successor. Ria Tanjuatco-Trillo, the former host of ABS-CBN News Channel's long-running Shop Talk, has officially been selected as the new co-anchor of New Day. Her hiring is effective immediately and she will begin at the local CNN station's morning news program in the coming days. 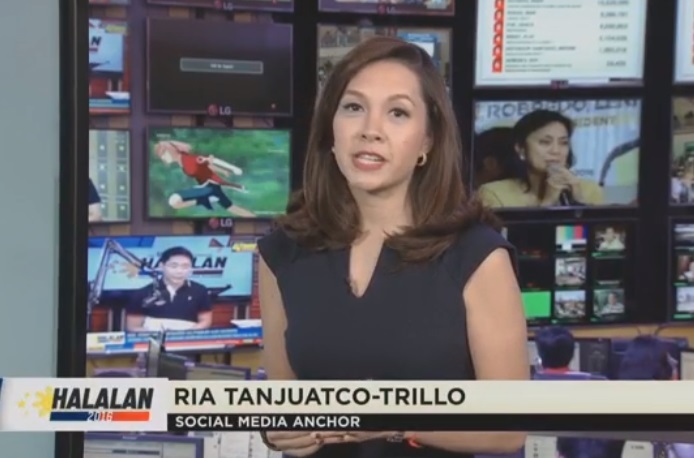 Also according to several sources who spoke to Media Newser Philippines, Tanjuatco-Trillo will also be the new anchor of the 8 o'clock edition of Newsroom. Best known for her work at ANC's Shop Talk, where she interviewed many of the country's businessmen and entrepreneurs, Tanjuatco-Trillo began her television career as a courtside reporter, covering the games for the UAAP. At ANC, she was also given a chance to participate in some of its major coverages — the last one being the 2016 national elections, where she served as one of the Kapamilya news channel's social media anchors. Tanjuatco-Trillo, whose résumé also includes stints at Studio 23's now-defunct programs Breakfast and News Central, is married to Meralco assistant coach Luigi Trillo.